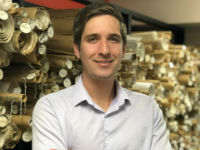 Dean is our most recent addition to the BRS Architects team as of February 2019. He has moved to the area with a Bachelor degree in architecture from the University of Colorado – Boulder and with several years of experience in the field. Dean greatly enjoys the intersection of science and art that architecture encompasses and strives to provide great service and well designed spaces. He assists with schematic designs, drafting, and design document preparation, and will continue to grow in his knowledge and understanding with experienced guidance. In the near future, his goal is to begin testing and progressing toward licensure. Beyond the office, you will find Dean hiking the local trails, backpacking, and exploring what his new city has to offer.